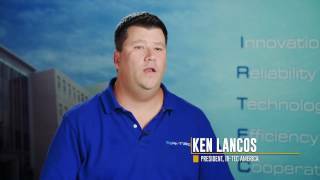 IR-TEC has been specializing in sensor and control solutions for lighting and HVAC since 1982. The company offers a wide variety of occupancy and daylight sensors for OEM lighting fixture integration, standalone lighting controls, and building management systems integration. The TRANS‑PIR occupancy sensor is a second‑to‑none wide range of 360° look‑down detection sensors developed from "Interchangeable EMO" an industry leading sensor design innovation features interchangeable Electrical, Mechanical and Optical options. This innovative design concept helps creating numerous types of sensor with individual electrical specifications which can be mounted in various formats and equipped with interchangeable lens to provide distinctive detection coverage. Lighting controls and energy savings are the future. Here at IR-TEC, we strive to provide the world with top-notch products to help you with your control needs. 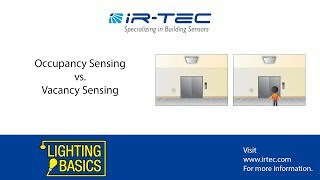 IR-TEC presents a brief overview of Occupancy Sensing vs Vacancy Sensing. The OS-NET, abbreviated from OccuSens Network, has been developed to deliver top-notch lighting control without the extra design, installation and setup time typical of conventional lighting control systems. With OS-NET technology, a state-of-the-art wireless sensor mesh network will be simultaneously deployed while installing the luminaires and lighting circuits integrated with OS-NET sensors/controllers. Numerous design innovations enable the OS-NET sensors/controllers to be flexibly integrated with OEM luminaires or mounted on the ceiling in a variety of options at different mounting heights, and provide sophisticated controls to the connected lighting through simple and intuitive grouping and setting via a 2-way handheld remote programmer.